Poesis is the Greek work for 'making things'. Not coincidently, it's also the word for poetry. A good piece of writing is like a fine piece of cabinetry, an elegant circuit board, or a beautiful engine. Steve Jobs famously insisted that everything should be beautiful in the IPod, IPad, IPhone -- even if the customer couldn't see it. A great carpenter feels the same way about the back of a cabinet. But do North American high school students appreciate the beauty of making things? Have they been given proper guidance? Or do they stumble, by default, into barren general arts programs? I understand, for example, that there are almost a million unfilled skilled trades positions in America. Good jobs in fields like mechanical, construction and information technology. 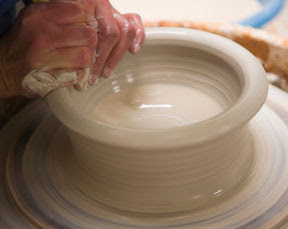 A chance to make something beautiful, to learn & practice a great art. My sense is our kids don't have a full picture of what's possible. Can I appeal to our friends and colleagues in the Continuous Improvement community to help? Please spread the message every chance you get.